About a year ago I started noticing a theme emerging in my life. I was embarking on another new era. This one is about the LIBERATION OF SPIRIT. 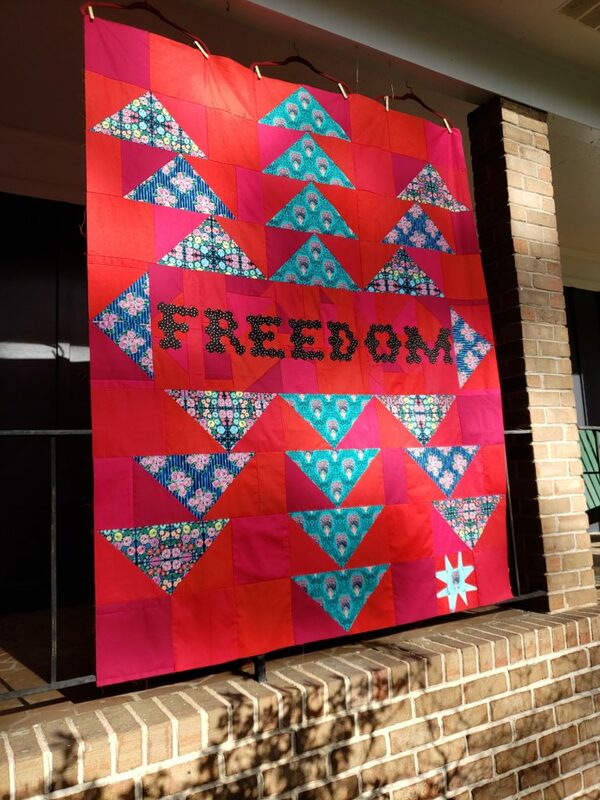 So when I saw this pattern for Freedom in Sherri Noel’s new book Text It!, I knew immediately that was the one I had to make. I knew I had to make it fiery. 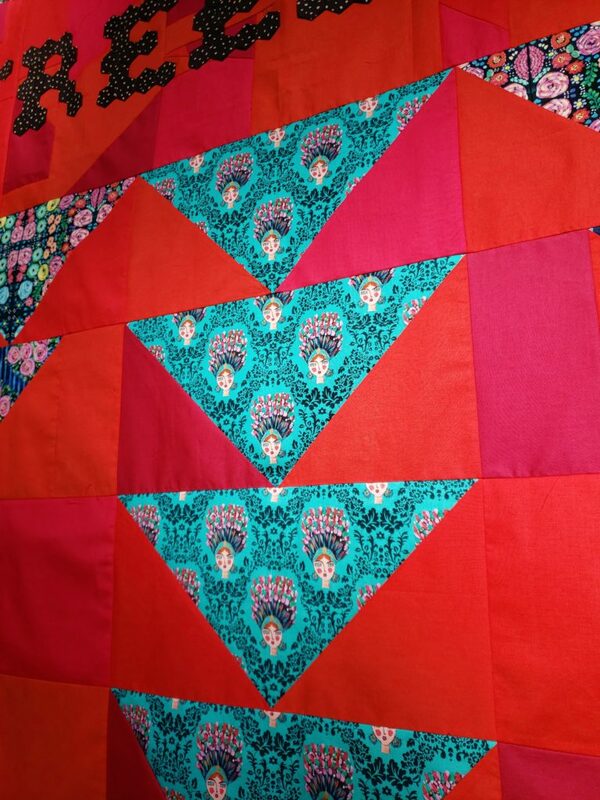 After a few days, I knew it had to be RED (even though the pattern calls for a light background). 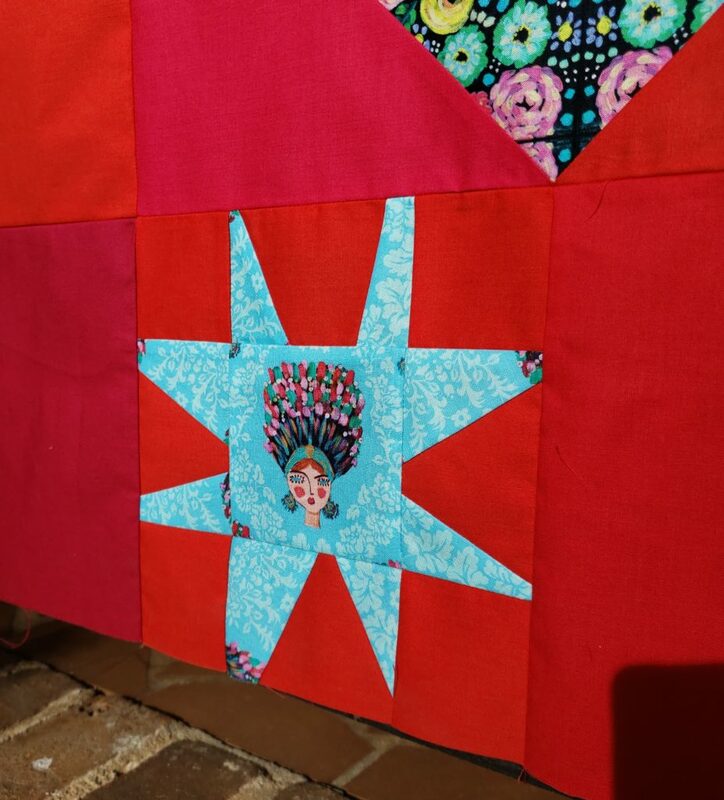 I knew the sassy Bridgette print in Jennifer Paganelli’s St. John fabric would be an integral part of this quilt (and a star!). That face, that hair! She embodies the FREEDOM of this piece. Making this one really made me feel free. Those massive flying geese! Flying FREE! The scrumptous florals scrumptous florals are also St. John by Jennifer Paganelli . What I didn’t expect was that I’d piece the center banner. I had a solid pink fabric I had planned to use there, but in the end, it didn’t work. So, feeling the freedom, I went all out and improved the banner with leftover bits from the background. Then I added two more free-flying geese on the sides! Because why not!? 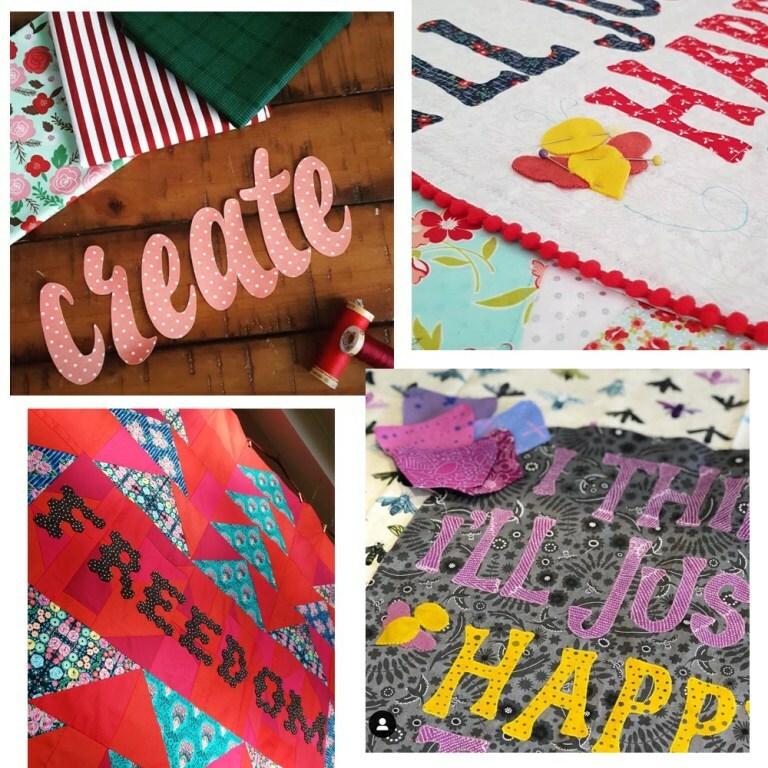 I did go ahead and sew together the hexagons, but I used some fusible tape to affix the letters to the banner because I knew I wouldn’t get to sewing them down in the next week or two. 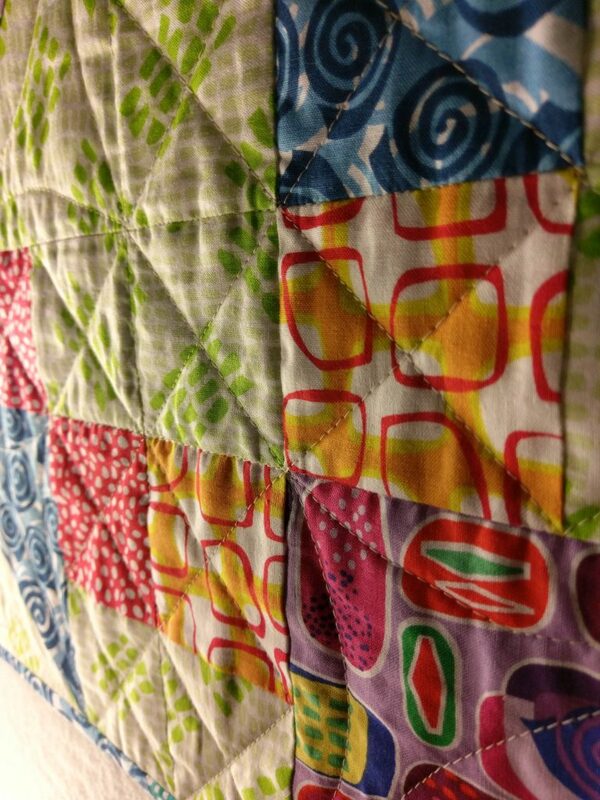 I think I’ll use some perle cotton to blanket stitch them down. What do you think? 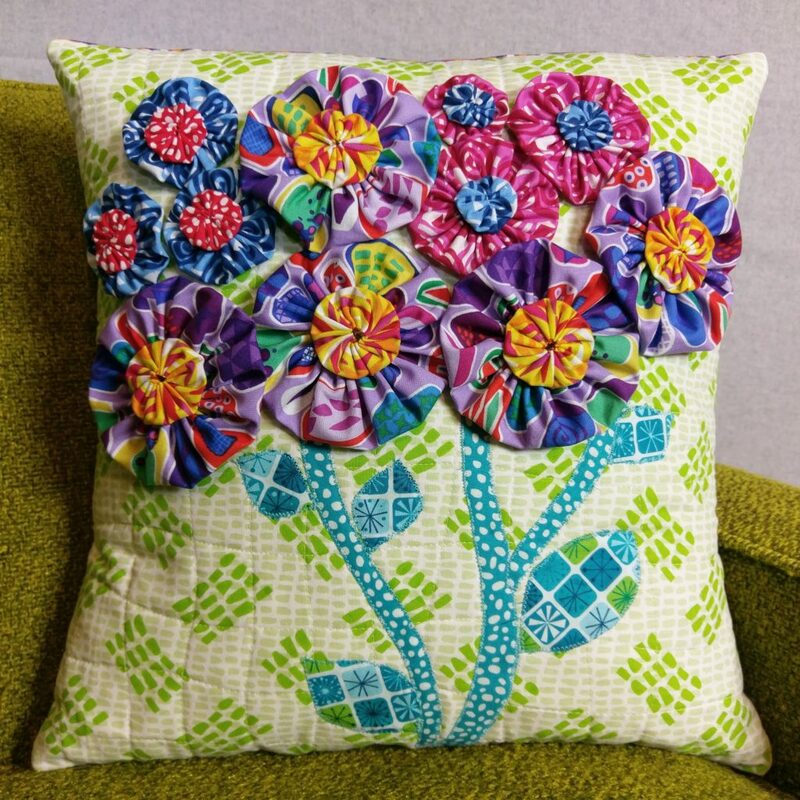 Check out more projects from the book! Giveaways – I have TWO! Giveaways are open to US residents, only. Thank you for understanding. Martingale has offered each of us on the hop a hard copy of Sherri’s book to give away! 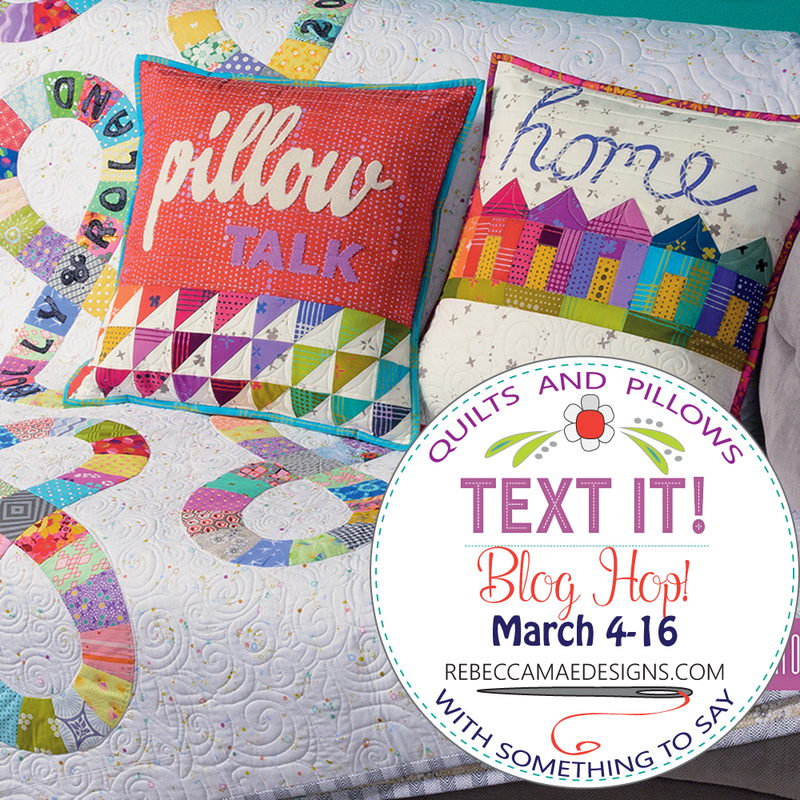 To enter, just leave me a comment below and let me know how you think I should quilt this! I’ll pick a winner using a random number generator on Friday, March 15th. 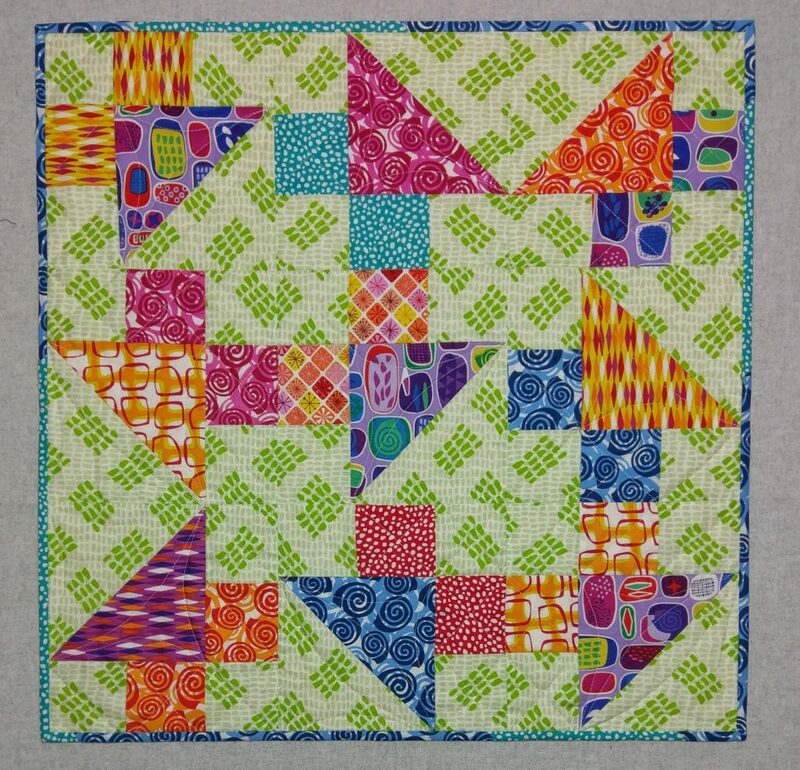 For a chance to win 2 large spools of Aurifil thread , leave me a comment on my Instagram post (the one dated 3/7/19 about this quilt). 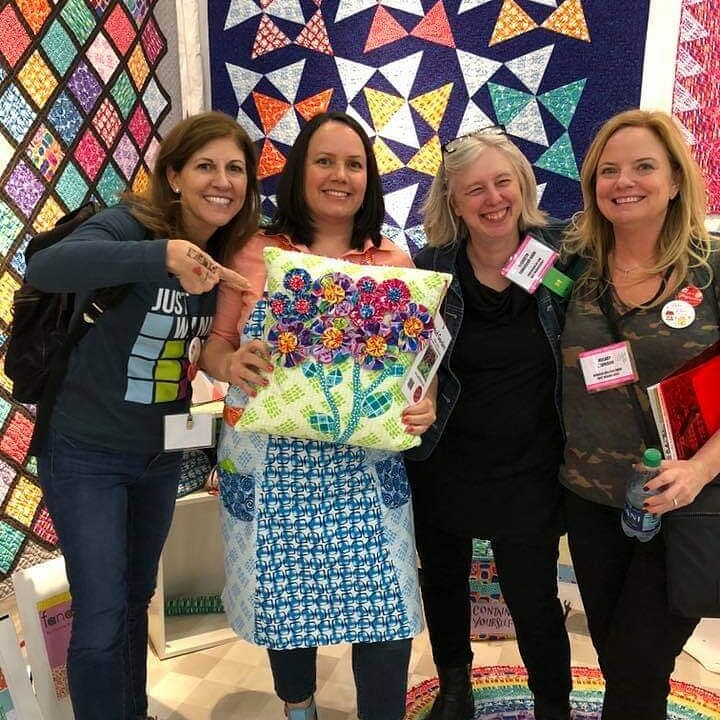 This new book from Sherri Noel has some really terrific projects for words on quilts and quilted pillows. 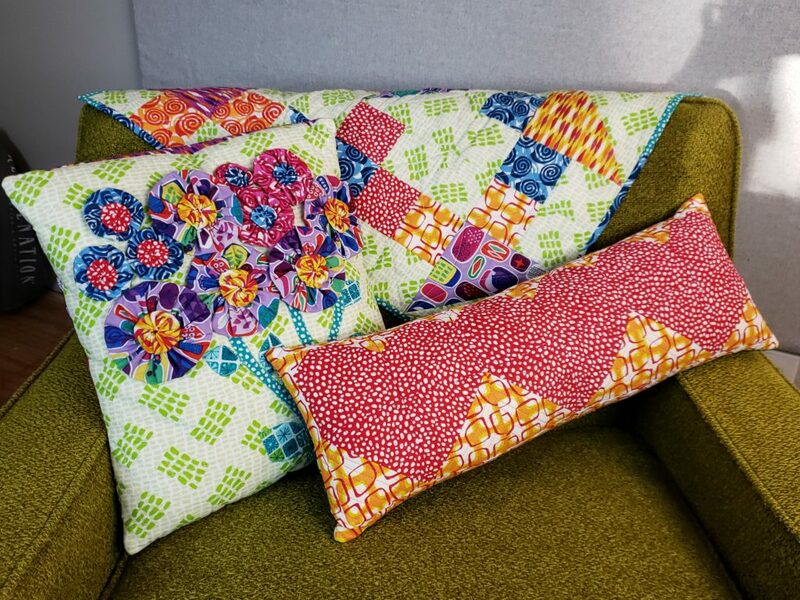 TWO weeks of projects on this hop, and each blogger is giving away a copy of the book and two large spools of Aurifil thread! 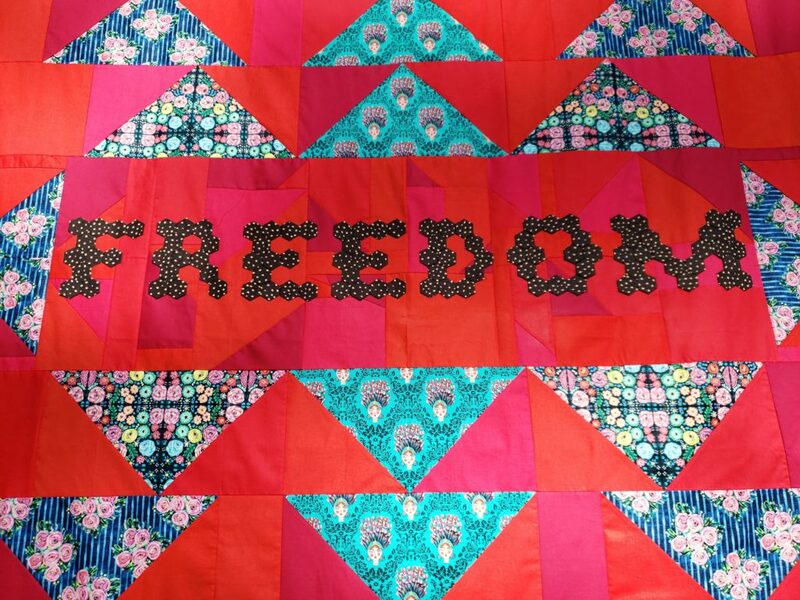 I’ll reveal my Freedom Quilt (pictured lower-left below) on Thursday the 7th. See you back here then!